When looking to up the sparkle factor there’s really no need to mess about - head straight for the rhinestones! 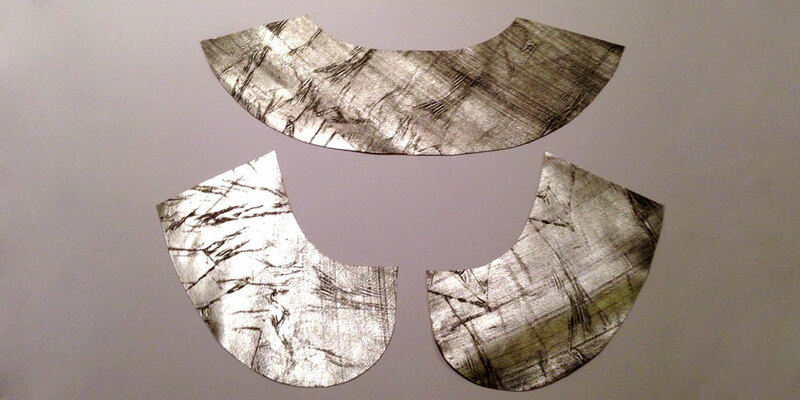 I came across this amazing silver leather and decided to whip up a quick and easy Tallis collar with added Christmas sparkle. 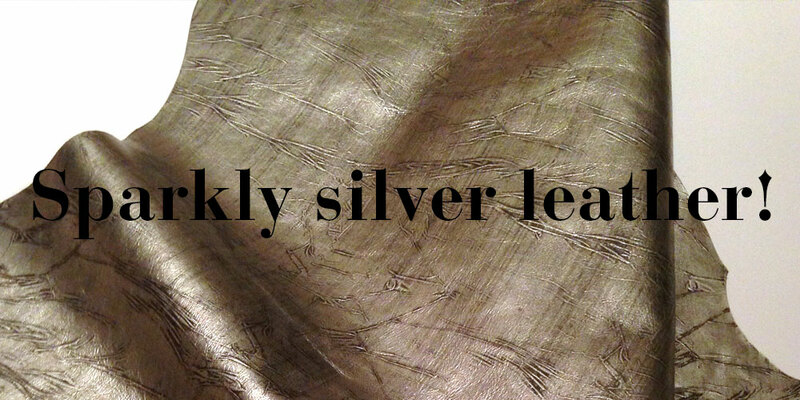 If you’ve never sewn with leather before check out our guide to sewing with leather. 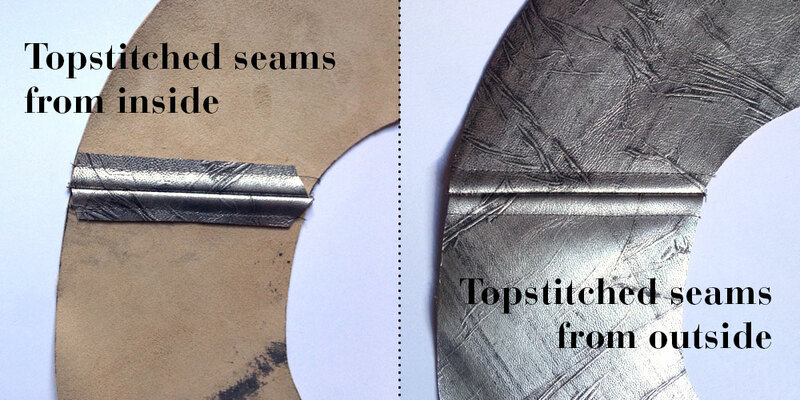 It’s actually really easy and can be done on your domestic sewing machine with the right needle. 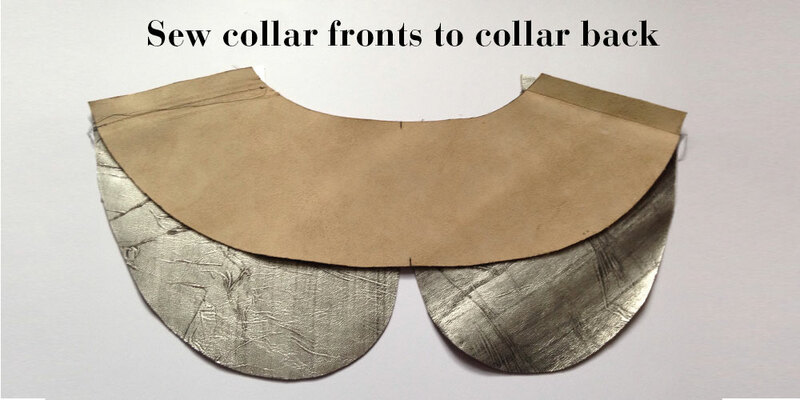 The great thing about this project is the collar can be made using minimal amounts of fabric (and even less if you’re not making it double sided) so you can make it from large-ish leather scraps rather than investing in a large piece. 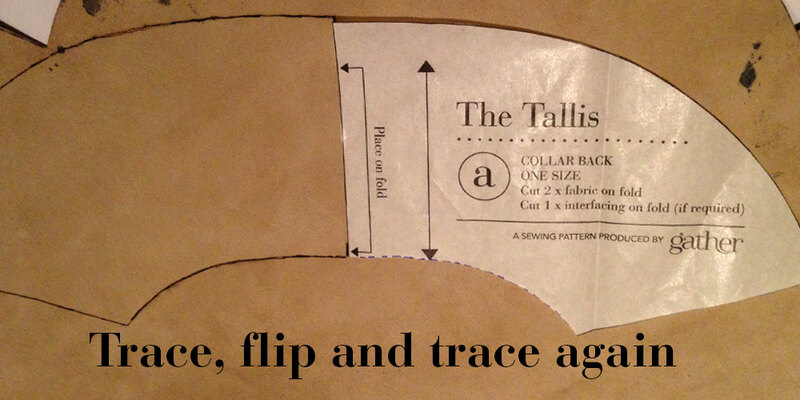 Lay your front collar piece on the leather and draw around it (no pins!). 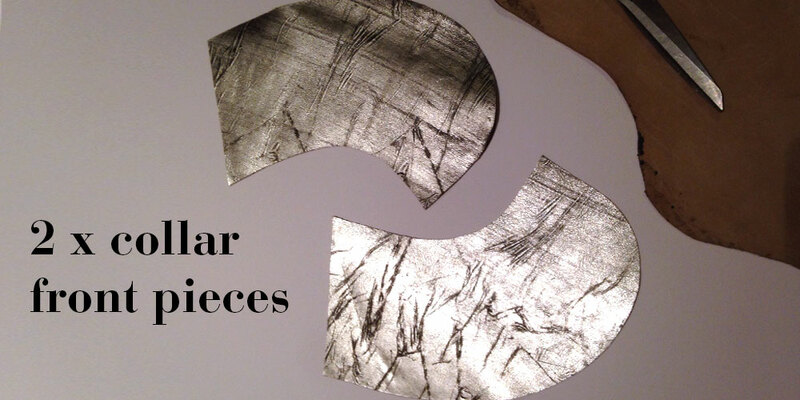 Flip the pattern piece over (so you’ve got two symmetrical pieces) and draw around it again. When it comes to your back piece, we’re not cutting on the fold as the pattern suggests so you’ll need to draw around it once and carefully flip it over so you’ve got a complete piece. Cut your two fronts and one back piece out (not with your best fabric scissors, the leather will dull the blade) and we’re ready to sew! 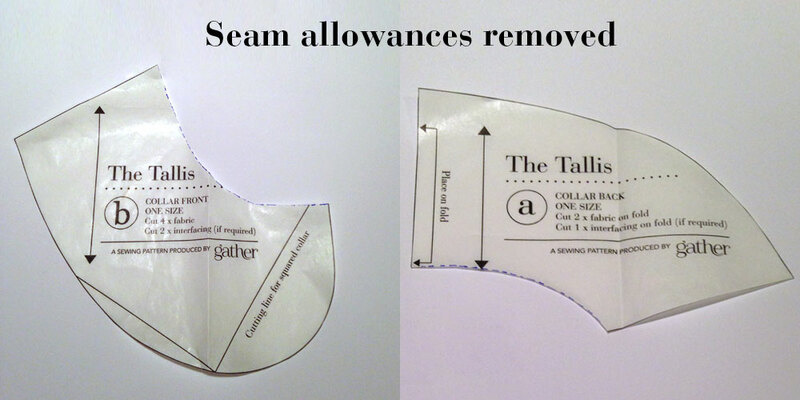 Sew your front collar pieces to your back piece using a 1.5cm seam allowance. As you’re not able to iron leather, I finger pressed the seams out and then put the whole thing under a couple of very heavy books for a while! I then trimmed the seam down and topstitched it to keep it in place and keep the whole thing nice and flat. That’s it, we’re done with the sewing machine! I’m using hot fix rhinestones which can be applied with a snazzy tool if you have one but can just as easily be glued. Don’t use superglue as it will damage the underneath and show through. I used my old trusty Uhu Creative which is a brilliant craft adhesive, sticks to practically anything and dries clear. 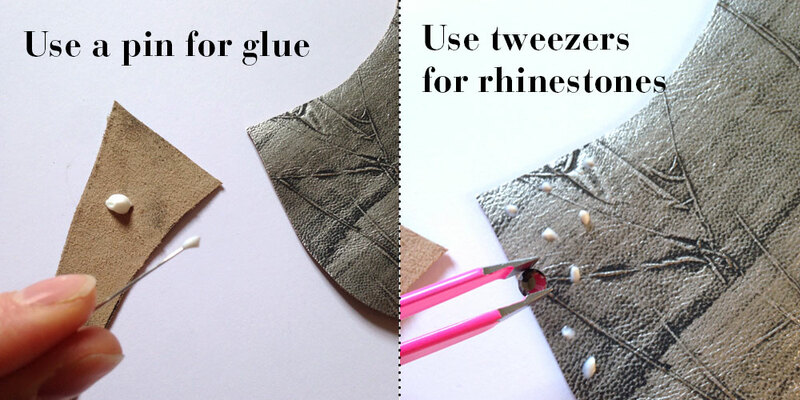 Squeeze out a little bit of glue onto a scrap bit of leather or paper and leave it for a few minutes until it’s tacky. 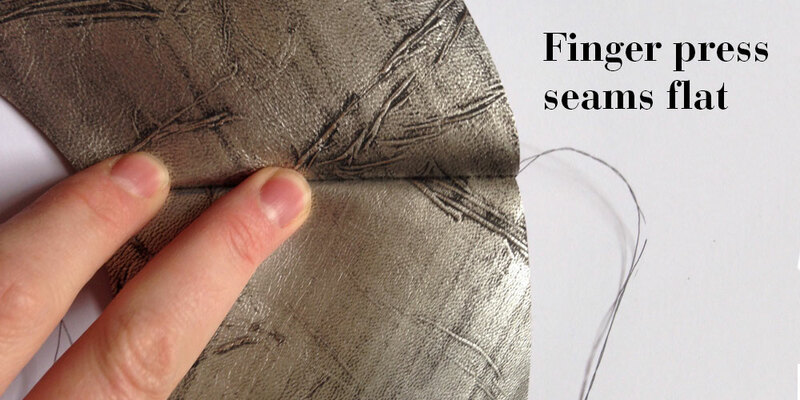 With a pin, apply a tiny blob to the leather (I stuck them down randomly - if you’re doing a pattern you might want to plan this out beforehand!) and then stick your rhinestones down, using tweezers to handle them. 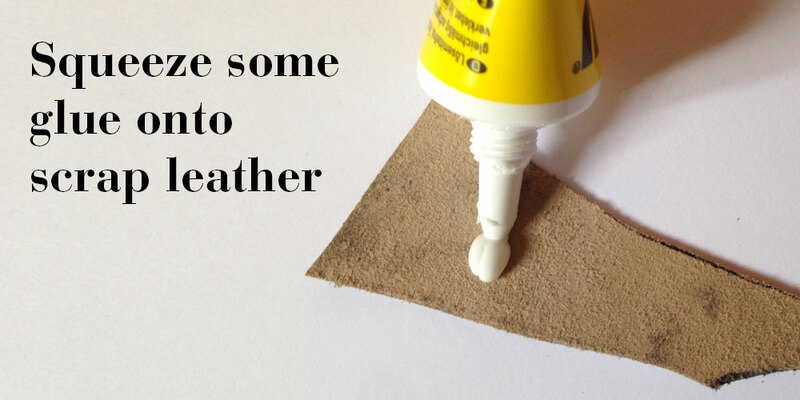 Any glue that squirts out the sides can be cleaned up with a cotton bud or clean pin. Voilà! 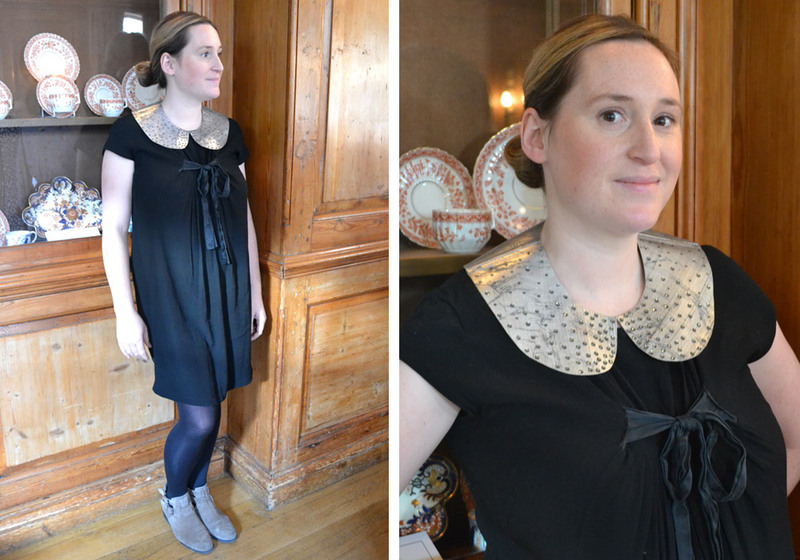 Some quick and easy sparkle to wear over a classic LBD. 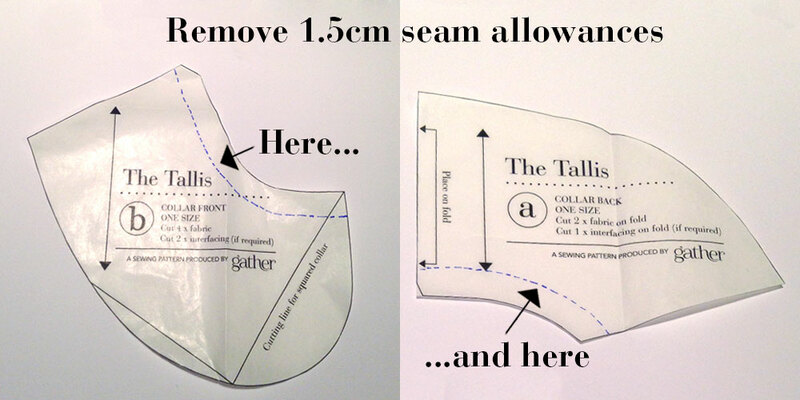 Buy The Tallis now to make your own!